Zenfone help is the blog Especially for Asus Zenfones. This blog contains custom Rom, Original Firmware, and other tools for Asus Zenfone. Today we have a ROM that is soo cool and the fun you will know after installing this ROM on your phone... This ROM is only for Z00L/Z00T devices. Sorry for others, If I get anything then I will post it here. 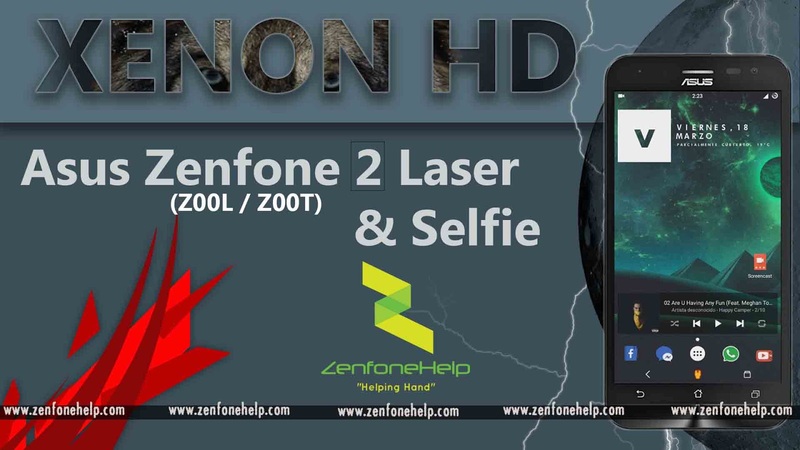 Team Horizon's XenonHD ROM builds for Asus Zenfone 2 Laser/ Selfie (Z00l / Z00T). XenonHD is a custom Firmware aka ROM for various Android devices. It is built from LineageOS 14.1 with additional features, performance, and battery life improvements. The Idea behind XenonHD is to give the user a ROM that is "Blazing Fast, Rock stable and buttery". Its Rockfast and Blazing fast! and now Buttery Smooth too!! Download The respective ROM from the Above link. Sure You have installed Custom Recovery. Vinaya HAX. Powered by Blogger. ZenFone Help © 2015. All Rights Reserved.